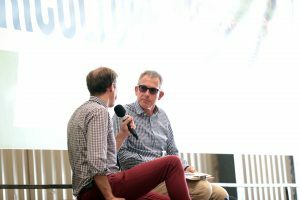 Last year saw the introduction the Innovation Showcase. This was kindly sponsored by Enterprise Ireland and Local Enterprise Office, Tipperary. Participants demonstrated some of the best and brightest innovations that aim to increase efficiency and sustainability on our farms. 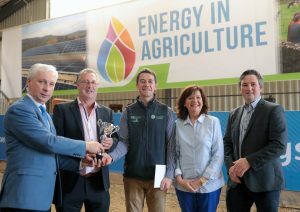 Harp Renewables from Navan, Co. Meath were the overall winners of Energy in Agriculture 2018 Innovation Award and Enterprise Ireland Sponsored Award For ‘Best Indigenous Innovation’. They secured themselves inclusion to the National Ploughing Championships Innovation Arena the following month. The winner of Local Enterprise Office, Tipperary Sponsored Award For ‘Best Innovation – Micro Enterprise Category’ was Solar Electric from Wexford.